Ultimate™ Multi-EFA™ is a new, smaller, easy to swallow capsule that provides you with PLANT DERIVED EFA’s that are necessary for the optimal health of adults and children. Essential fatty acids are necessary in maintaining optimal health, but can only be obtained through diet. 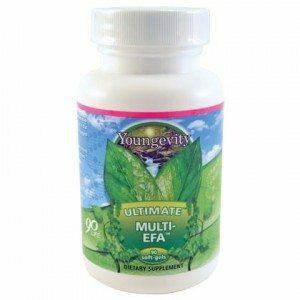 Ultimate™ Multi-EFA™ provides your body with the benefits of PLANT DERIVED essential fatty acids that comes in a new, smaller, easy to swallow capsule making it easy for anybody to consume, including children.